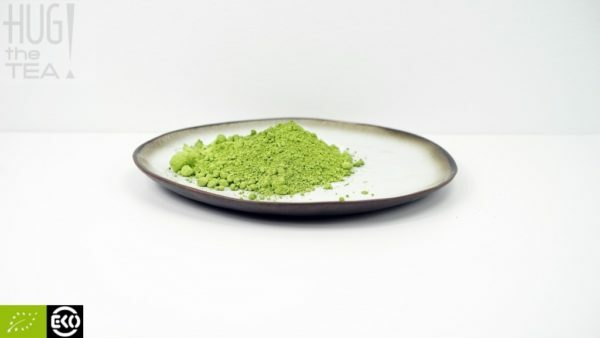 Matcha is a Japanese green tea powder. It is a shade grown tea, what means that four till five weeks before the harvest, the Camellia Sinensis tea plants are covered with screens. The tea plants are largely shielded from the sun. 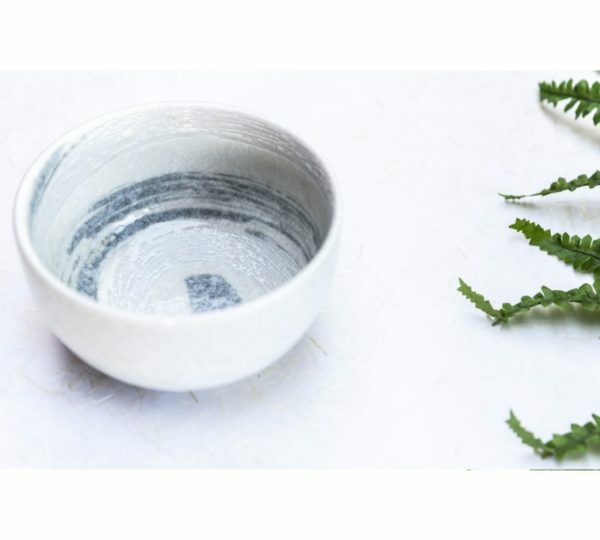 This process increases the amount of chlorophyll in the leaf, which gives the tea its great green color. In the Spring the first flush take place. 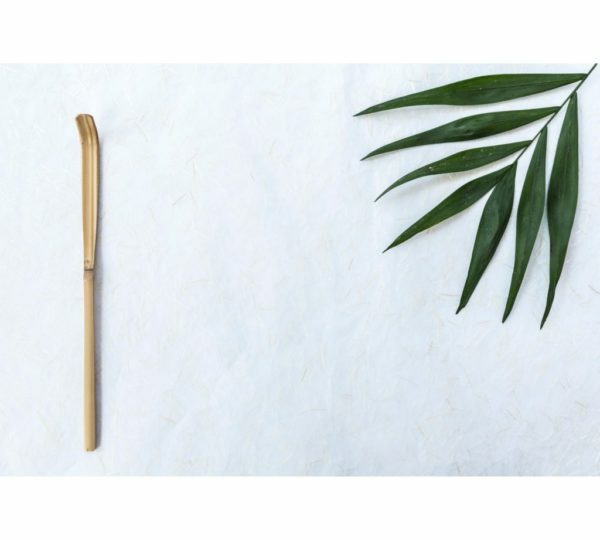 The youngest and strongest leaves, also known as ‘baby or virgin leaves’, are picked, steamed, dried till Tencha tea is made. Then the Tencha is ground into ultra-fine powder. 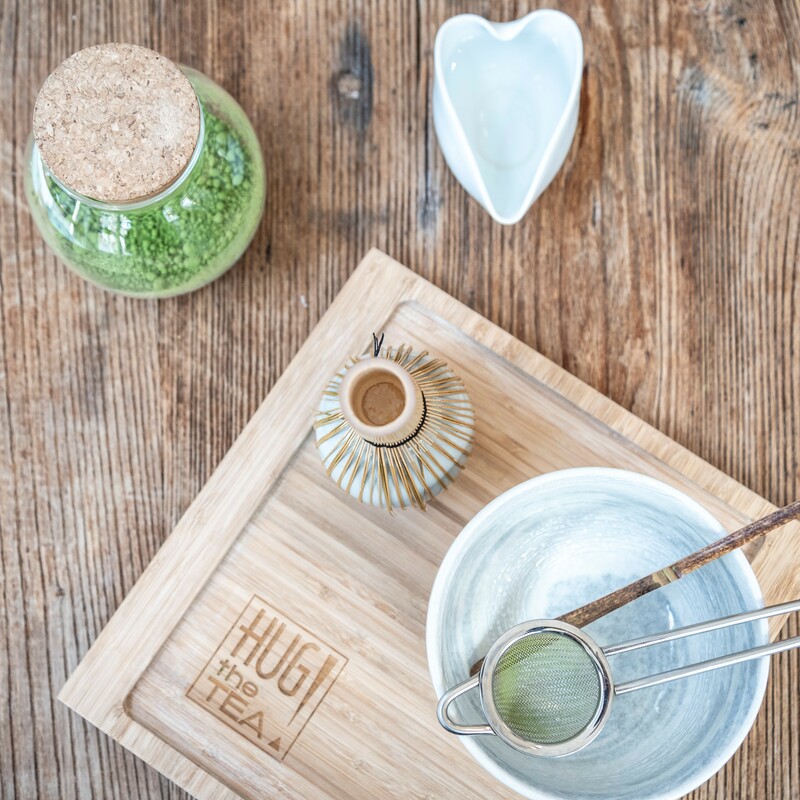 Our Organic Matcha is directly imported from the tea plantations in Kagoshima, the south of Japan. 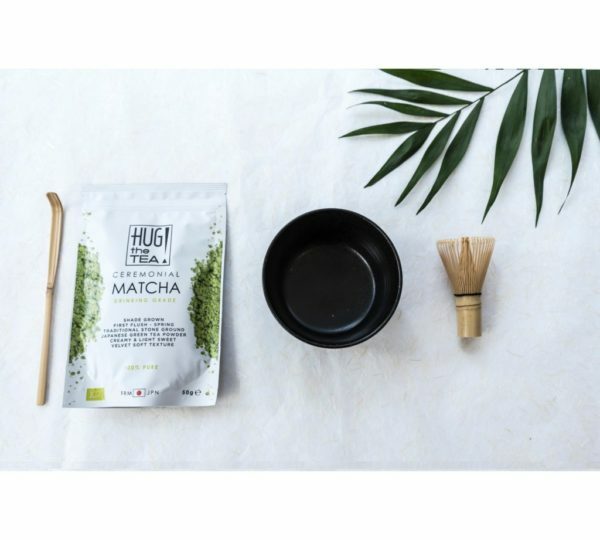 With Matcha you’re drinking the whole tea leaves. 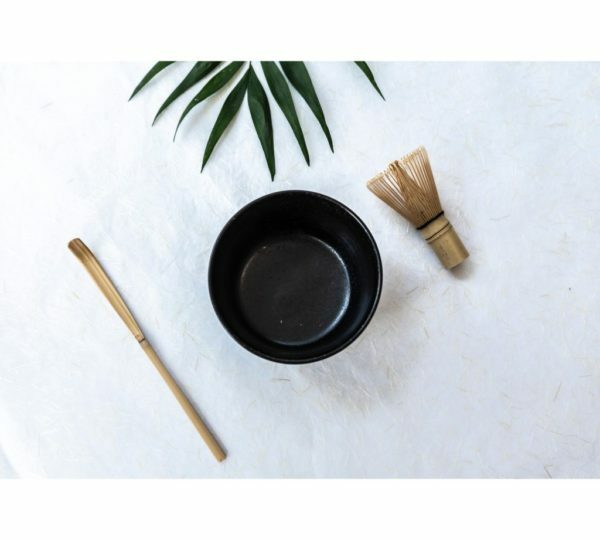 You ‘brew’ the Matcha tea traditionally by mixing about one bamboo spoon of Matcha powder with 60 ml of warm water (80 degrees) and whisk it for 20 sec with a bamboo whisk until it is a creamy and foamy green tea. 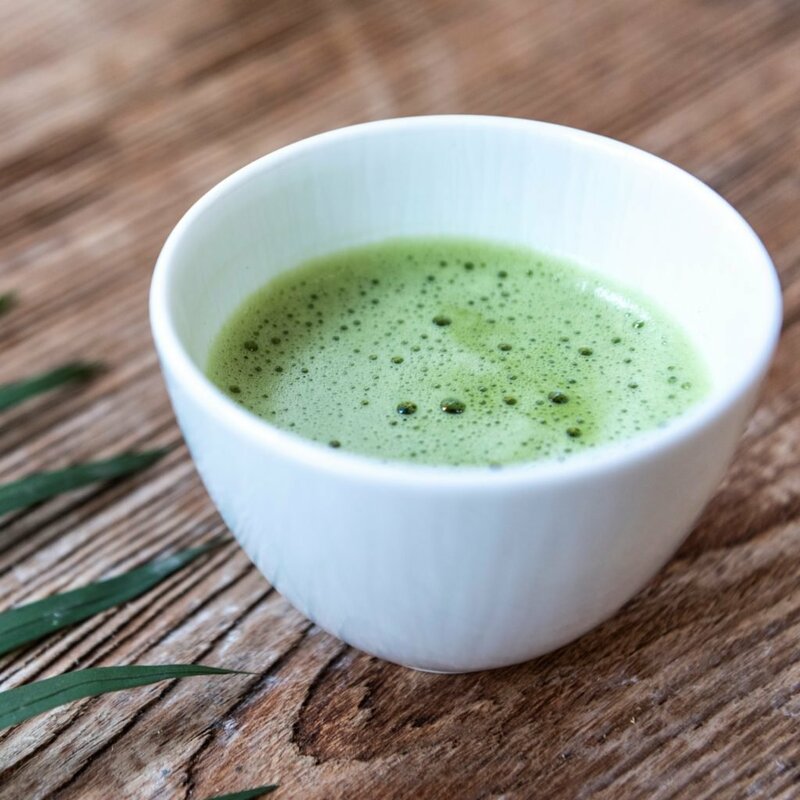 One teashot of Matcha is the equivalent of 10 cups of green brewed tea in terms of nutritional value and antioxidant content. It is a real superfood, or actually super-tea! movement to get foam on top. 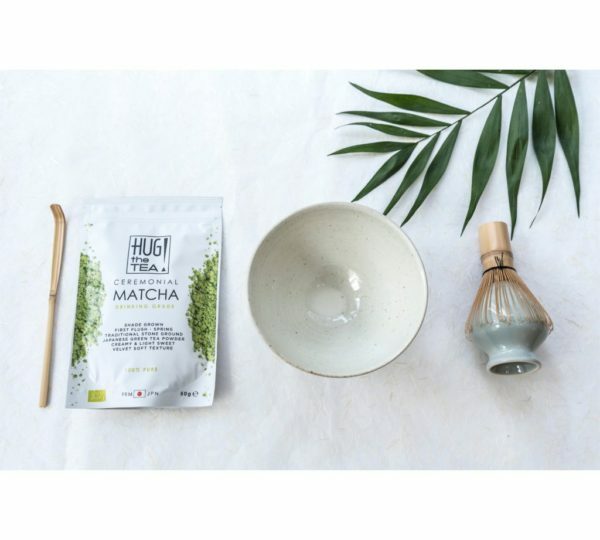 HOW TO MAKE A MATCHA LATTE? 5. If necessary add some honey or agave syrup (vegan), to make it sweeter. 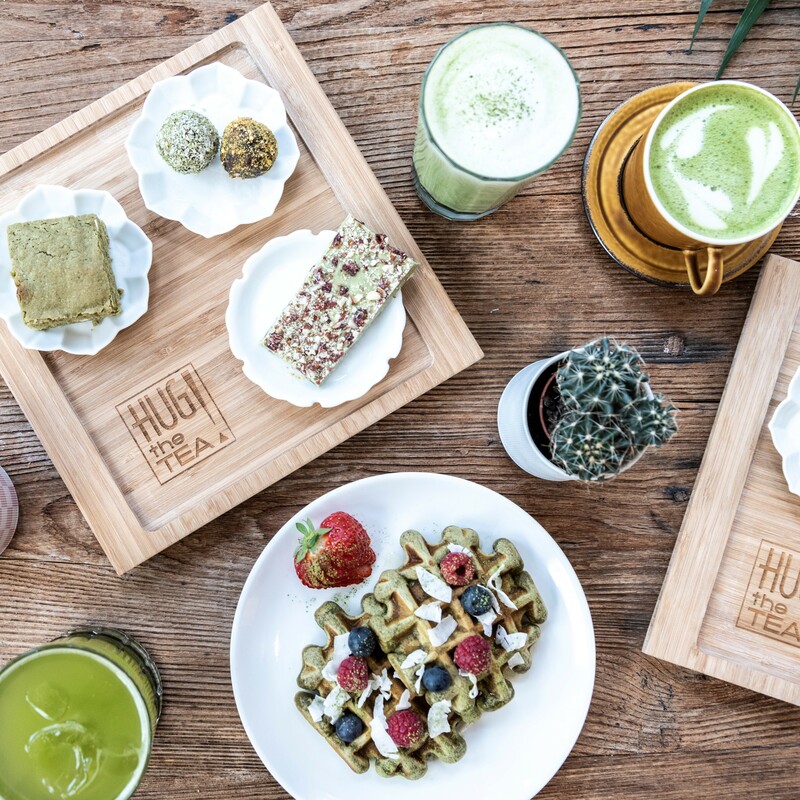 Matcha is 115x richer in antioxidants than regular green tea. 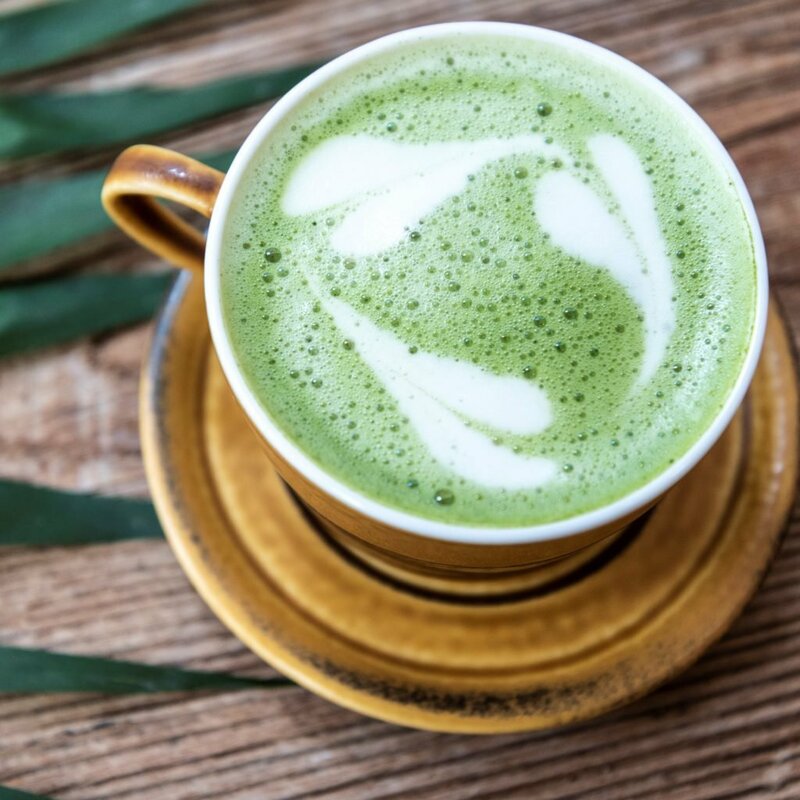 Matcha contains 92x more antioxidants than spinach. And 46x more antioxidants than broccoli. 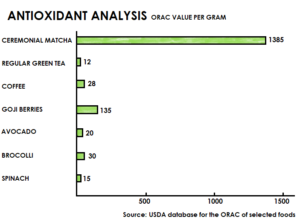 The graph below shows the antioxidant activity for Matcha and a number of known antioxidant-rich foods. 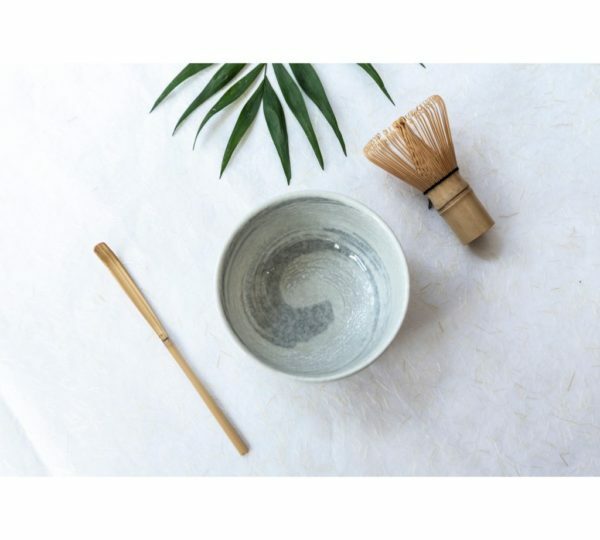 Furthermore, Matcha is high in vitamines (A. B, C and D), fibers, chlrorophyll and minerals like: magnesium, selenium, chrome and zinc. 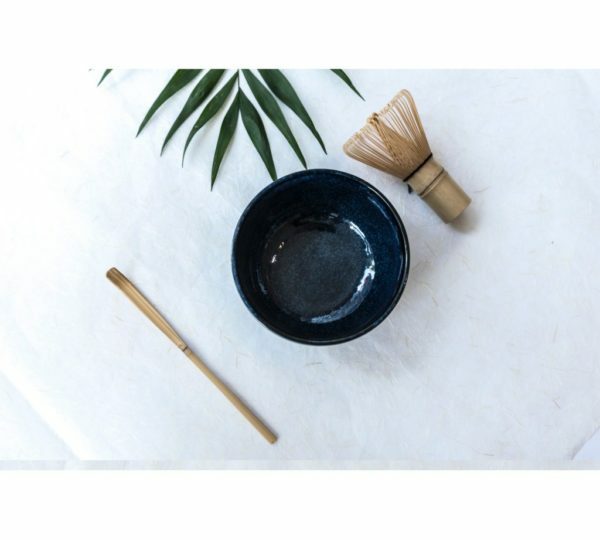 Matcha detoxifies naturally and effective. It lowers cholesterol and the blood sugar level. It provides a fast metabolism. It protects the immune system. It helps to prevent diseases, like cancer, obesity en diabetes. Moreover Matcha is high in theine (cafeine) and gives a prolonged energy-boost. 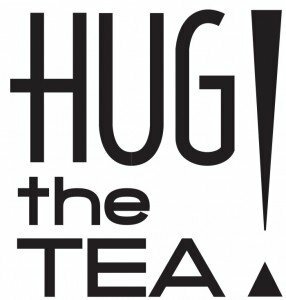 It also has a calming effect, reduces stress, improves mood and concentration, due to the L-theanine. 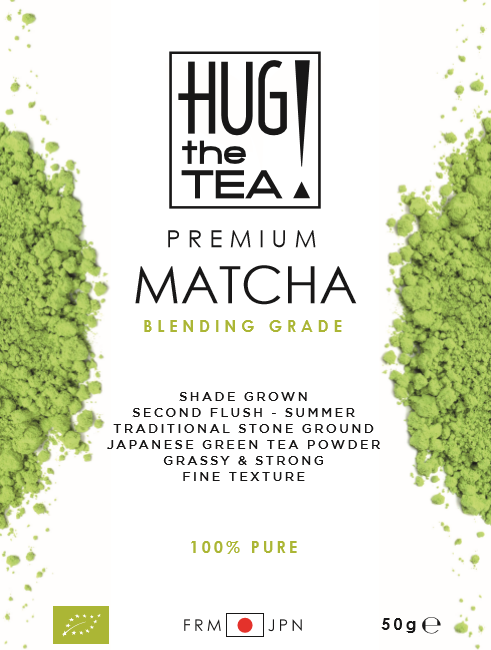 This 100% green tea powder is also great for your skin, it has an intense cleansing effect on the skin. 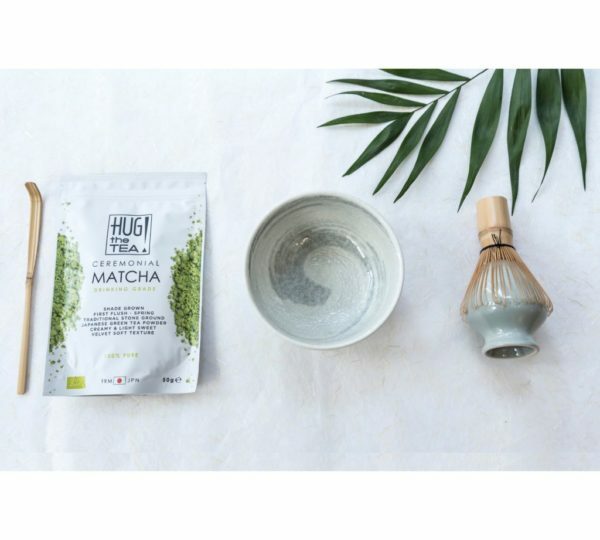 Read below how to make a Matcha face mask. 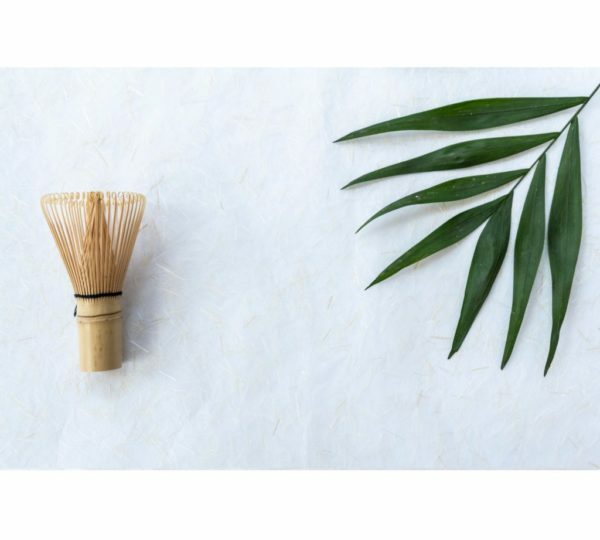 There are many possibilities with Matcha. 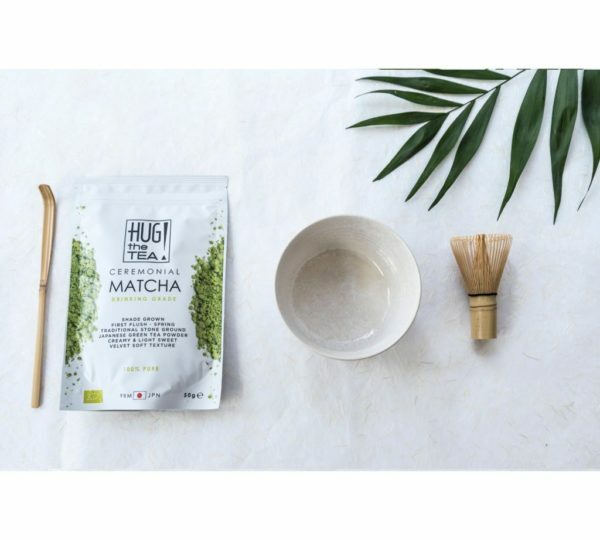 With this powdered green tea you can make Matcha Latte with foamed milk. 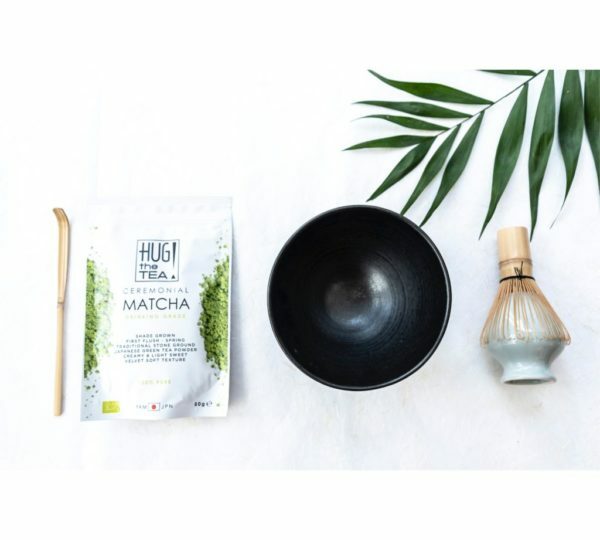 You can also add Matcha to your fruit- vegetables smoothie. 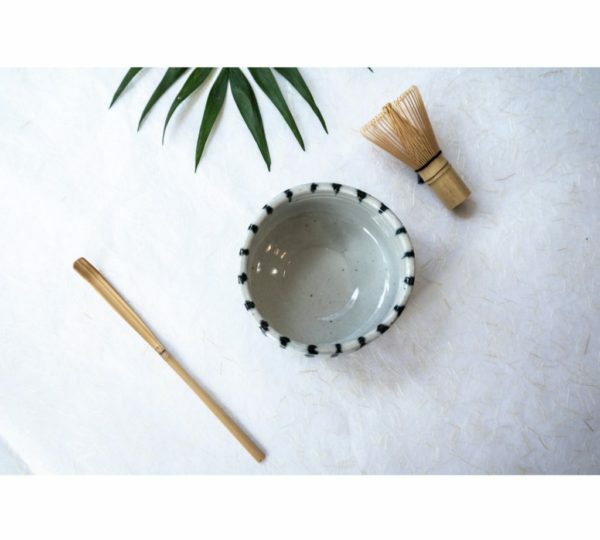 Matcha is a naturel color, so you can also cook and bake with it, for example: Matcha (cheese) cake, cookies, pancakes, tiramisu, ice-cream, milkshake, risotto etc. 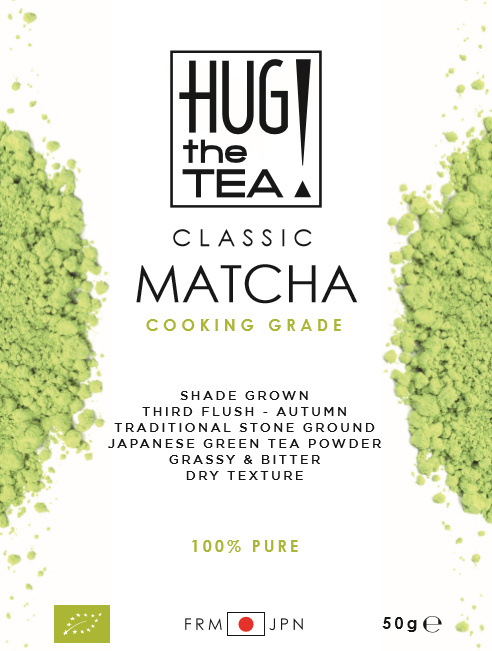 There are different qualities & grades in Matcha. 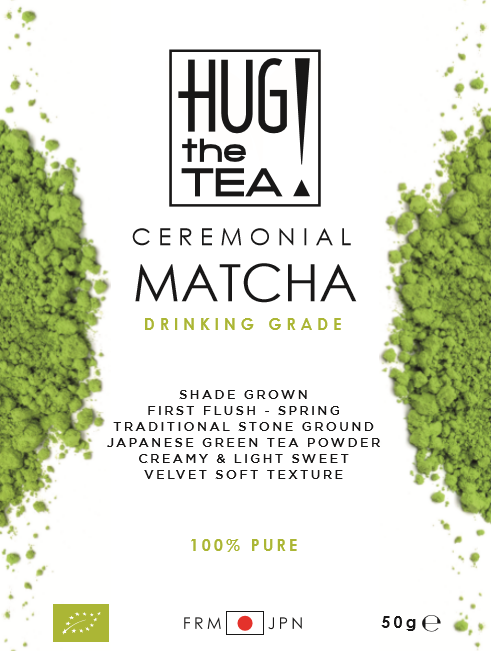 We do only sell 100% pure green tea powder. The higher the quality, how greener the color and the better the taste in terms of sweetness and creaminess. 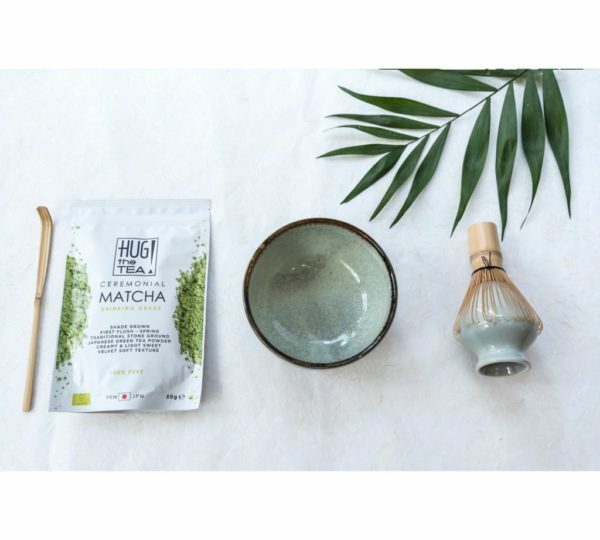 You’ll find more Matcha recipes and more at our blog! 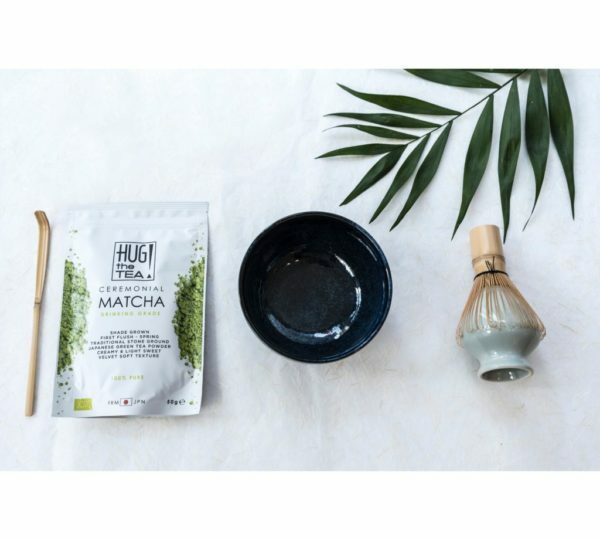 Besides consuming and eating Matcha, it is also possible to make a facemask with Matcha. Rub it on your face and leave it for 10-15 minutes. Rinse off with lukewarm water and a soft washcloth. Bring your day or night cream on your face. 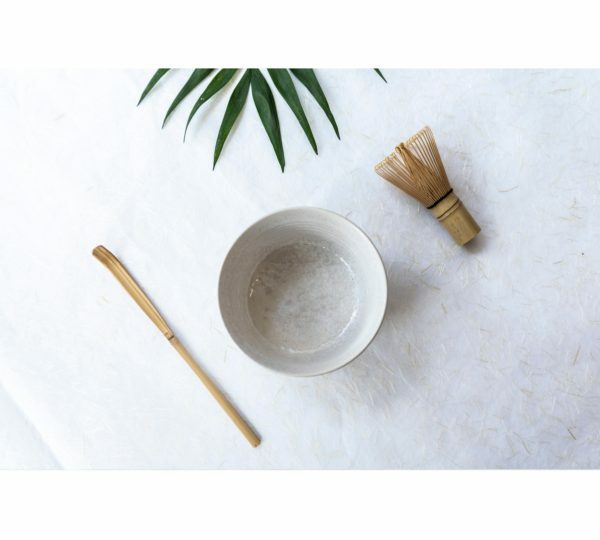 A Matcha face mask has a cooling effect and the antioxidants reducing inflammation to your skin. It cleans your skin deeply and gives you a silky smooth radiant skin . 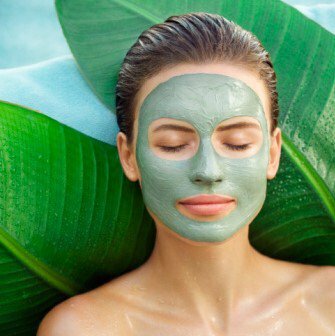 For best results, you should apply the face mask 2-3 times a week.